Welcome to the Cabana Club! 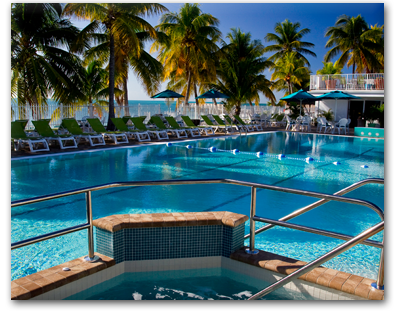 Enjoy the best that the Keys have to offer in the comfort of our newly renovated private swim and beach club. Welcome to the newly renovated Cabana Club! 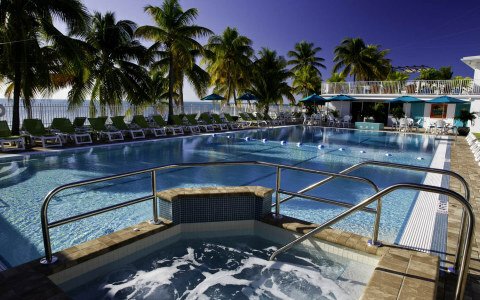 The Cabana Club is a private swim club located on the ocean in the City of Key Colony Beach in the beautiful Florida Keys. Escape to our “unique” swim club and private beach…Paradise Found! The Cabana Club Island Bar & Lounge, located poolside, is a great place to escape for a tropical cocktail and a visit with friends. 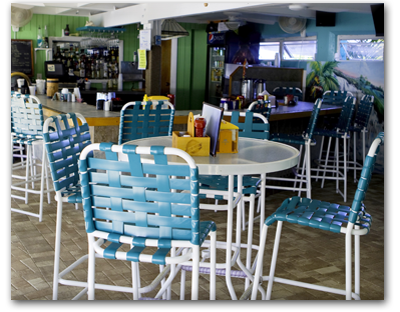 Daily drink specials, entertaining locals and outstanding staff make this a popular spot to catch some shade. 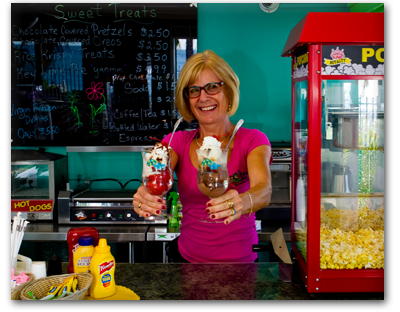 The Beach Shop, a colorful island style décor snack bar serves Sweet Savannahs hand dipped ice cream, hot dogs, popcorn, pretzels, sundries and more. A must-visit to fill that sweet spot! 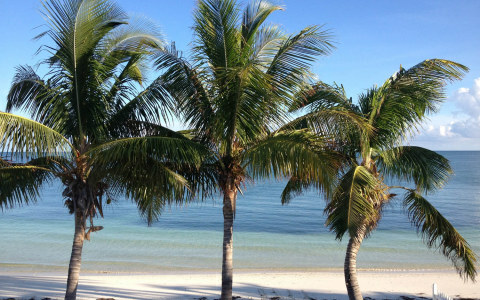 Enjoy all that our secluded getaway in the Florida Keys has to offer! Enjoy lunch on the beach or poolside from our full service menu. The Cabana Club has inspiring coastal views with sandy beaches and exciting Eco attractions and outdoor activities. Learn more about all the Cabana Club Offers! 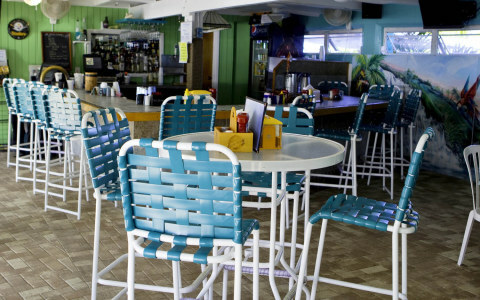 The Cabana Club has been owned and operated by the Tracy Family since 1979. Built in the mid 1950’s, the Cabana Club has under gone a few renovations but none as extensive as what was done in the fall of 2014. The huge 65’ x 35’ pool is now a contemporary “Zero Edge” pool that incorporates large rounded stairs, bench seating, a waterfall and a spa with massaging jets to help you relax. 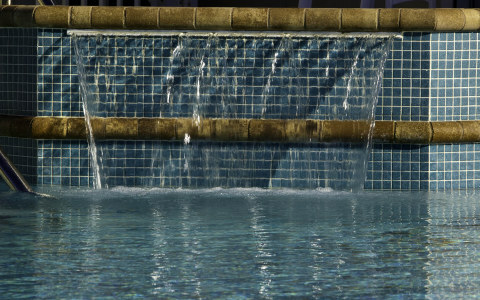 The pool is heated in the winter and cooled in the summer, maintaining a year round temperature of 85 degrees. It all looks so incredible with the entire deck and lounge resurfaced with sand colored pavers. The Cabana Club has inspiring coastal views with sandy beaches and exciting Eco attractions and outdoor activities. 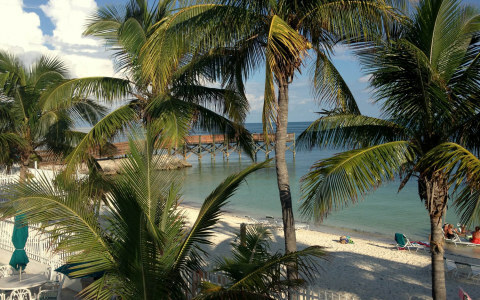 Plan your family vacation, romantic getaway or “no plans” trip under the Florida Keys sun on the island of Key Colony Beach. Relax and enjoy the Cabana Club! Try snorkeling from our beautiful beach or just relax around the pool and take in all the incredible experiences you will have. Truly an inspiring island coastal retreat! Only 54 miles to Key West!